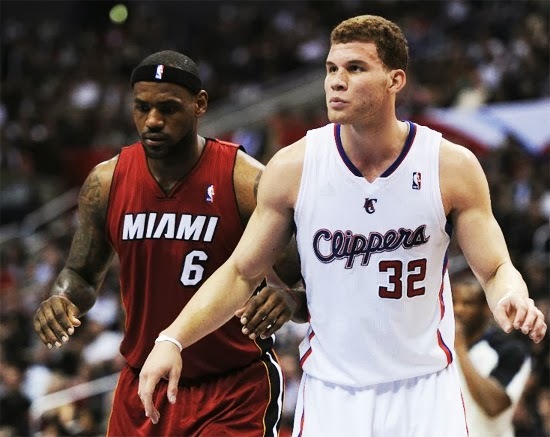 Heat's LeBron James named Eastern Conference Player of the Month and Clippers' Blake Griffin named Western Conference Player of the Month. Watch the videos after the click. 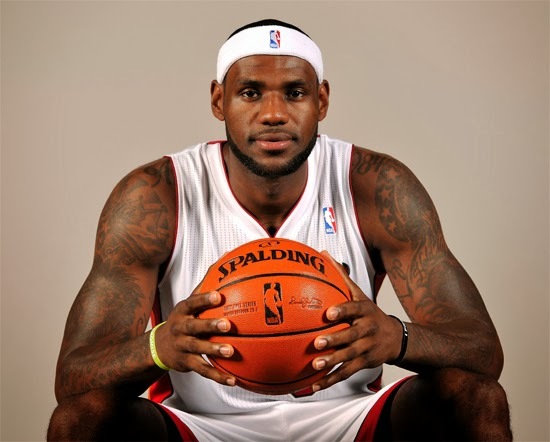 LeBron James of Miami Heat averaged 30.8 points (second in the conference) to go along with 8.1 rebounds and 6.7 assists. James, who missed a game after he suffered a broken nose, also shot .575 from the field, becoming only the second player (Wilt Chamberlain) to average at least 30.0 points, 8.0 rebounds and 6.0 assists while shooting at least .570 for a calendar month. Among Western Conference players, Blake Griffin of L.A. Clippers ranked third in scoring (30.0 ppg) and sixth in rebounding (10.7 rpg), and was one of only two players in the league to average at least 30.0 points and 10.0 rebounds for the month. He recorded eight point-rebound double-doubles, and extended his career-best streak of 20-plus-point games to 19.